Clear Plastic Sheeting 10 x 25 4mil, 4 Year UV Treated, Heavy Duty Multi Purpose Drop Cloth by HANDYDeals. This seamless poly sheeting makes the perfect tarp for your car or boat, or can be used to weather proof or storm proof your roof or windows or as a surface guard. 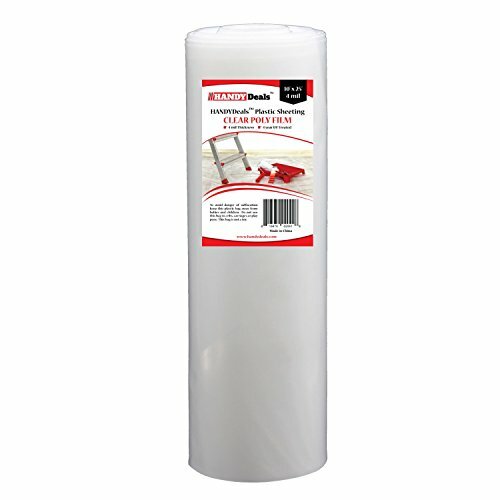 This roll plastic sheeting is great for the home handywoman or handyman for those weekend do-it-yourself projects. It can be reused or recycled giving you better value for your money. KYDEX sheet has excellent forming properties, which results in uniform wall thicknesses and crisp detail. KYDEX sheet forms to deep draws with low forces when heated to the upper end of the forming temperature range. 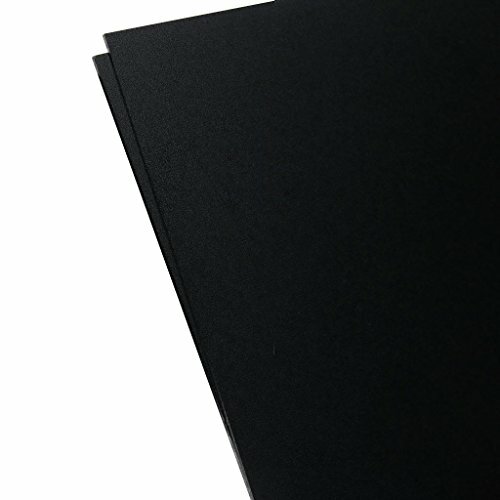 Unlike many other thermoforming sheets, KYDEX sheet has unusually high resistance to hot tearing. - Oven temperatures should be set differently than the settings used for ABS or FR-ABS. - Typical heater settings (percentage timers) are 30% - 50% top heaters and 50% - 70% bottom heaters. - The most frequent problem is trying to heat the sheet too quickly, particularly on the primary surface. - Cycle times will vary depending on the oven conditions and grade of KYDEX sheet being formed. - When forming KYDEX sheet, it is better to rely on the sheet appearance during heating than on fixed cycle times. - Forming temperatures - Guidelines: (Sheet should not exceed 204 C (400 F). - Ideally the core sheet temperature should be within 10 F of the surface temperature. As KYDEX sheet is heated, the inherent stresses in the sheet will relax. Stage I: The heating is marked by wide undulations and softening. Stage II: The material will start to form small ripples (known as oil canning). . Stage III: The material will start to smooth out and sag (KYDEX sheet will generally sag less than other thermoplastics due to its high melt strength. . Stage IV: The ripples will have smoothed out indicating that most stresses have been removed. 10 to 30 seconds afterwards the sheet is ready to form. The opaque off-white HDPE sheet has a standard tolerance and meets American Society for Testing and Materials ASTM D4976-245 specifications. HDPE (high density polyethylene) is a rigid, tough plastic that offers good chemical resistance and low moisture absorption. HDPE is stronger and more rigid than LDPE. Polycarbonate sheet combines high impact and temperature resistance with optical clarity and can be utilized for secondary glazing behind existing glazing for economical protection against breakage or intrusion. Polycarbonate sheet can be cut, sawn, drilled and milled by using standard workshop equipment without the risk of cracking and breakage and is therefore an excellent candidate for fabricating a wide range of indoor applications such as machine guards etc. Polycarbonate sheet can be easily thermoformed into complex parts while retaining its excellent properties necessary for demanding applications such as vandal proof street furniture. Polycarbonate sheet may be decorated using a wide variety of modern techniques such as painting and screen printing. Transparent Polycarbonate sheet have excellent light transmission, dependent of thickness between 84 - 87%. Polycarbonate sheet has good fire behavior characteristics. Lexan sheet does not contribute significantly to the spread of fire or to the generation of toxic gases. For details please contact your local sales office. 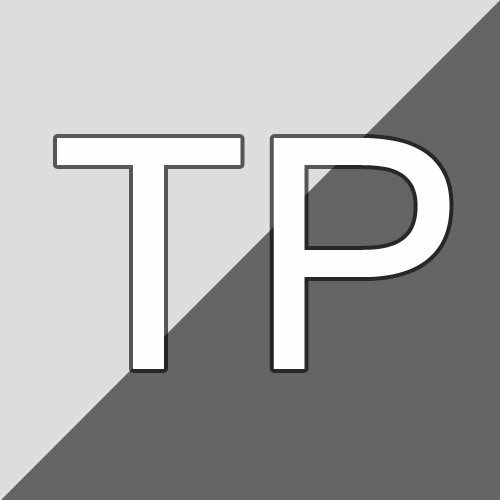 Clear protetive film on **BOTH** sides of sheet. One side has printing. The other side is clear / frosted and hard to see. 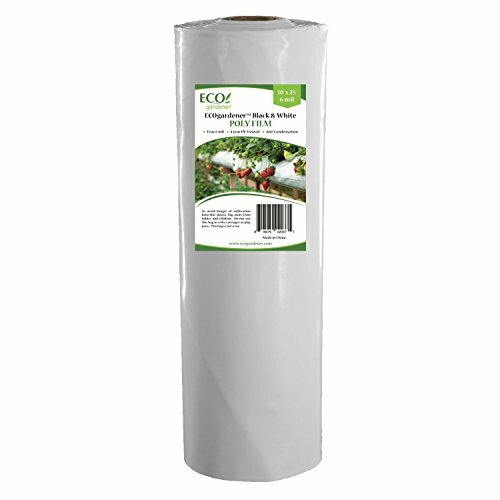 ECOgardener UV Treated 6 mil Black and White Poly film is suited for both indoor and outdoor use. In Greenhouses, hydroponic systems, grow rooms and grow tents. The highly reflective properties of the white side allow you to make the most of your natural lighting and help to you save power with your grow lamps. The opaque black side gives you maximum control of exactly where your lighting goes. PLEASE USE CAUTION: Plastic is flammable and should not be placed in close proximity to hot grow lamps. It should only be used in areas with sufficient ventilation and safety precautions. 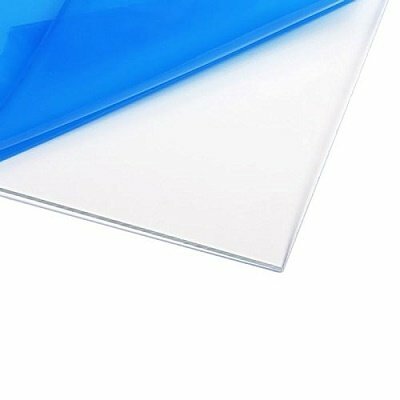 Polycarbonate Plastic Sheet 12" X 24" X 0.0625" (1/16") 3 Pack for VEX Robotics Teams, Hobby, DIY, Industrial. Shatterproof, Easy to Cut, Bend, Mold. Polycarbonate (also known as Lexan or Makrolon) is a tough, non shattering plastic that is very clear. It offers endless possibilities in your VEX robot design and is easy to work with. More than just plastic sheets, Resource & Installation Kit available upon request, with tips and info, adhesive cutting/drilling guide, and plastic usage chart. Sheets can be cut easily (even tin snips work well for small pieces) and can be cold-bent or heated and bent. 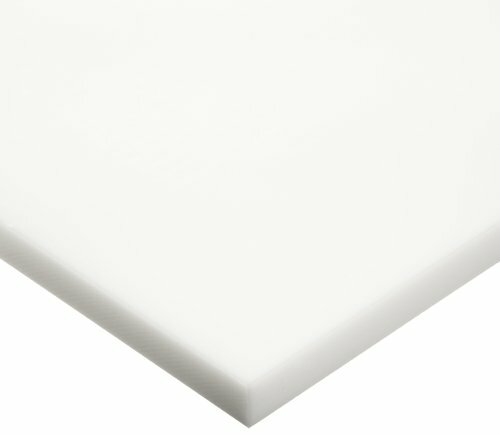 Legal for use on competition robots: Rule R7f permits plastic from one 12x24x0.070" sheet. 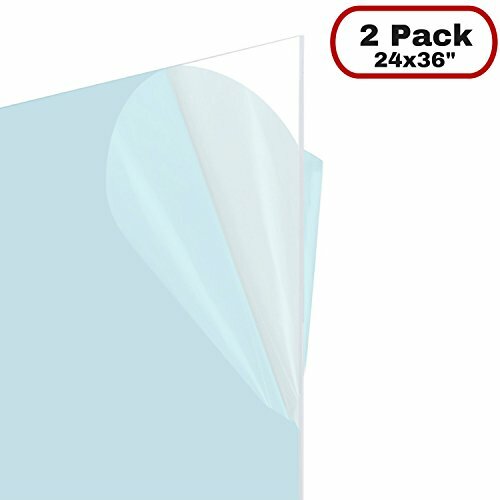 Includes three 12x24" (+/- 1/8") sheets of 1/16" Polycarbonate. Resource & Installation Kit available on request, includes tips and info, adhesive cutting/drilling guide, and plastic usage chart. Exclusive translucent blue film protects both sides of sheets while allowing you to see what's underneath. Mark directly onto it before cutting or drilling, then peel film off afterwards to expose pristine clear surface. Includes three (3) 12x24 CNC precision square & straight cut sheets of 1/16 (approx 1.5mm) thick Polycarbonate. NOMINAL SIZE: Please note actual size may be slightly smaller as is standard with all plastic sheet products. 1 foot by 2 feet, 1/16 (0.06 inches) thick. The best resource for VEX EDR Robotics to improve their robot, documentation, and build quality. Legal for use on VEX Robotics competition robots: Rule R7f permits plastic from one 12x24x0.070 sheet. POLY AMERICA 410B 10' X 100' 4 MIL BLACK PLASTIC SHEETING. Used as a dropcloth or spray barrier, a vapor barrier in interior walls or in crawl spaces, primarily used as a barrier in the drywall trade, and used as a cover possibly for curing with concrete. Acrylic, also known as Plexiglass, is a clear plastic that is 17 times stronger than glass. The quality of this item far exceeds that of other imported material from China. Buy with confidence. This is made domestically in the USA! Acrylic can withstand high and low temperatures. This extruded acrylic performs great outdoors as well as indoors. Acrylic is used for projects for home improvement such as glass repair/replacement, window glazing, picture framing, home decor etc. PLEASE REMOVE PROTECTIVE FILM MASKING at the appropriate time. As a safety precaution, be aware of sharp edges and corners. Each acrylic sheet is 12 x 12 inch SQUARE CUT - 1/8 inch thick. Exceptional weatherability, strength, clarity and versatility. Acrylic is 17 times more durable than glass. Our Acrylic Sheet measures 12 x 12. Husky CF0420-50B 20' X 50' 4 ML Polyethylene Black Plastic Sheeting plastic sheeting Use for an equipment cover, vapor barrier, insulation, paint protection, or moisture barrier Polyethylene construction Black 4 millimeter 20' x 50'. This Product is manufactured in United States. ABS Plastic is though and non-shattering, making it an inexpensive alternative to Polycarbonate (Lexan/Makrolon). It offers endless possibilities in your VEX robot design and is easy to work with. More than just plastic sheets, Resource & Installation Kit available upon request, with tips and info, adhesive cutting/drilling guide, and plastic usage chart. Sheets can be cut easily (even tin snips work well for small pieces) and can be cold-bent or heated and bent. Legal for use on competition robots: Rule R7f permits plastic from one 12x24x0.070" sheet. 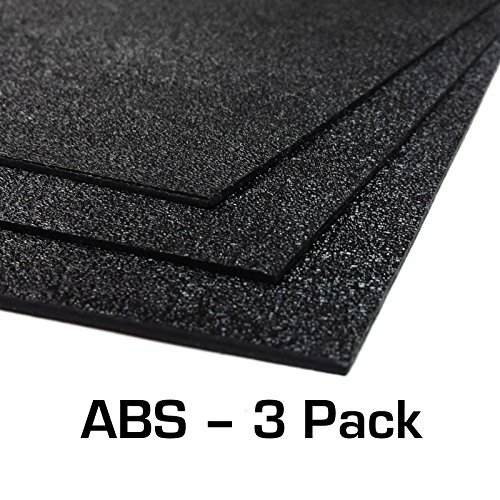 Includes three 12x24" (+/- 1/8") sheets of 0.056" Thick ABS Plastic. Black color, front has a "Haircell" pattern and the back is smooth. Resource & Installation Kit available upon request, includes tips and info, adhesive cutting/drilling guide, and plastic usage chart. Legal for use on competition robots: Rule R7f permits plastic from one 12x24x0.070 sheet. 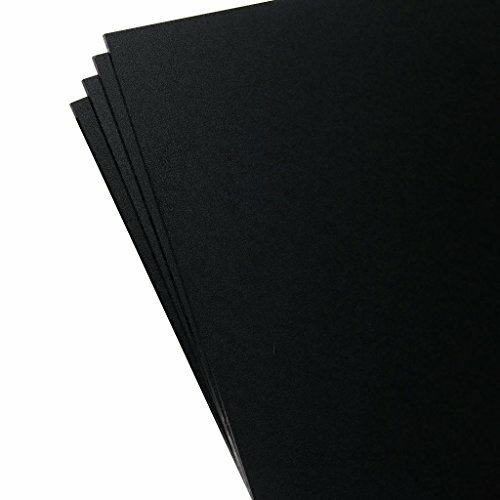 Includes three (3) 12x24 CNC precision square & straight cut sheets of 1/16 (0.056 inch, approx 1.5mm) thick ABS Black Plastic. NOMINAL SIZE: Please note actual size may be slightly smaller as is standard with all plastic sheet products. 1 foot by 2 feet, 1/16 (0.06 inches) thick. 4x6, .040 PETG, CLEAR STYRENE/PLEXI GLASS. 10 sheets in a pack. Are You Into Arts And Crafts? Do You Like Creating? Have You Been Looking For The Best Alternative To Glass? The AdirOffice Acrylic Plexiglass Sheet Is All You Need! What can be more enjoyable and relaxing than creating things and embellishing your home or working space, adding your very own, personal touch? If you like home improvement and DIY projects, you know that using versatile, durable and high quality materials is of paramount importance! 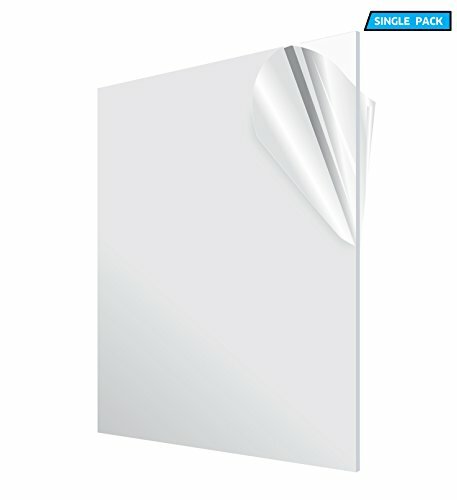 AdirOffice presents you with a top quality acrylic plexiglass sheet that can be used in countless ways! Make it yours, unleash your imagination and impress with your creations. Forget about glass that gets easily broken and which is not so safe to use. This plexiglass sheet is more durable, more convenient, more flexible and easier to use. It features a 1/8' thickness and a 24x36'' size. Moreover, it is shatter proof and weather resistant. Last but not least, keeping it clean is easy as pie, as the only thing you need is some soap and a damp wash cloth. You can use this acrylic plexiglass sheet is many ways. Bend it, cut it, form it according to your needs and use it to make anything from video screens and picture frames, to museum cases and countertops. Moreover, you can pick among a wide variety of sizes and packs and choose the clear or black sheets according to your needs. You will receive your plexiglass sheet in a protective film that prevents scratches and damage while shipping. In case you are not 100% happy with your purchase, contact us and we will gladly help you solve any problem. THE BEST ALTERNATIVE TO GLASS: This transparency acrylic sheet is safe, practical, durable and easy to use! Moreover, it will be shipped to you with a protective film cover, assuring you of its excellent condition. Glass panes are impressive. However, they are easily breakable and they may crack over time, which makes them dangerous and not very convenient to use. If you have been looking for a safer alternative, you have come to the right place! 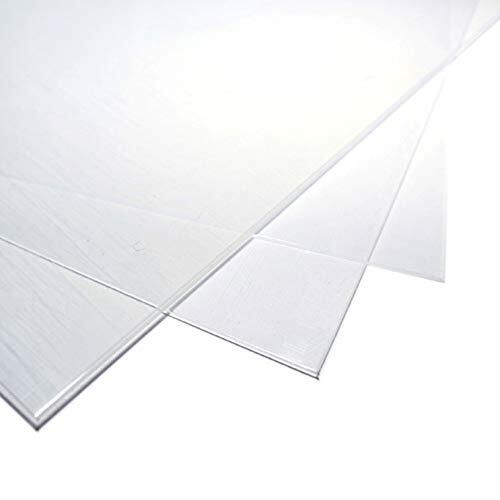 HIGHEST QUALITY PLEXIGLASS SHEET: This clear acrylic sheet is built to last! 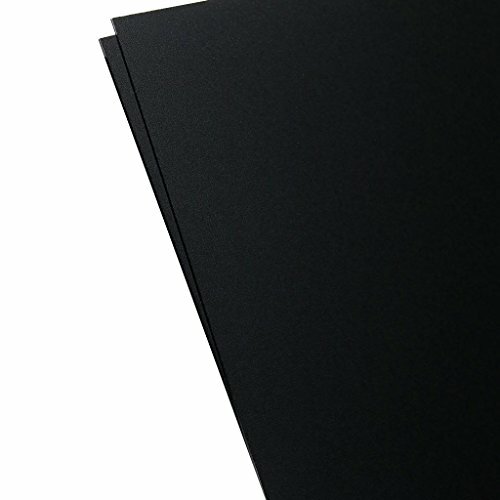 It is 1/8'' thick and it features a 24x36'' size. Moreover, it is durable, shatter proof and weather resistant which makes it ideal for any indoor or outdoor project. Last but not least, it is very easy to keep clean with some soap and a damp wash cloth. 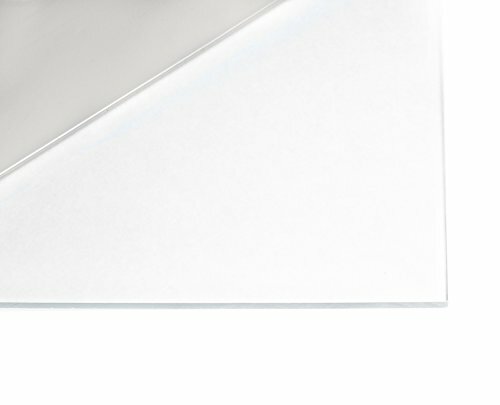 If you do not compromise for nothing less than the best, this acrylic plexiglass sheet is the perfect choice for you. ENJOY UNMATCHED VERSATILITY: The AdirOffice acrylic plexiglass sheet will provide you with countless possibilities! Its durable, flexible construction and the fact that you can easily cut it and reform with a saw, allow you to use it in many different ways! Make display stands, sound barriers, brochure holders, windshields, table tops, podiums, menu boards, marker boards and anything you like! All you have to do is unleash your imagination and be creative. 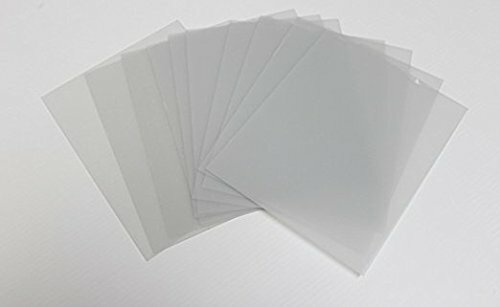 PICK THE ONE THAT BEST SERVES YOUR NEEDS: This top notch multipurpose plexiglass sheet is available in 5 different sizes for you to choose the one you need. Moreover, apart from the transparent sheet, you may pick the black one too. Last but not least, you can go for the single sheet or order a pack and complete any project you have in mind. 100% RISK FREE PURCHASE: Keeping you satisfied and providing you with the friendliest customer service is our priority. This is why we stand 100% behind our products, offering you a 30 days money back guarantee. In case this acrylic plexiglass sheet does not live up to your expectations, contact us and we will happily resolve any issue! MULTIPURPOSE- Acrylic sheet uses are glass window replacement, outdoor signs, lighting applications, and bending or manipulation. ABS Is a general purpose ABS product that has good impact strength, and good hot strength for thermo forming. It is an amorphous thermoplastic material and therefore, processes easier than some other thermoplastic materials. Applications: ABS may be used for interior applications such as appliance parts, tub and shower wall surrounds, and interior automotive trim. With the addition of a weatherable cap it may also be used in many outdoor applications. Finishing: Parts made with ABS may be joined with machine screws, bolts, nuts, rivets, and spring steel fasteners. Thread cutting or thread-forming screws is an economical means of securing separate joints. Formed parts may be joined with Methylene Chloride if maximum impact strength is not required. Press and snap techniques and sonic welding may also be used for the bonding of ABS. End uses of ABS include: Tub/shower surrounds Pickup truck caps Boat accessories\ automotive trim parts Computer housings.